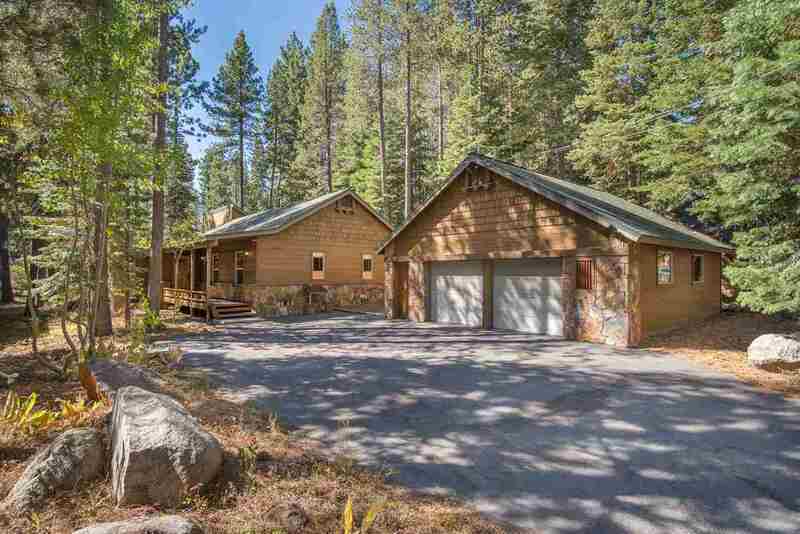 Grand Tahoe style home w/ open beam cathedral ceilings, beautiful rock work inside & out, reclaimed pine finishes, scraped Doug fir flooring in great room, travertine tile, slab granite & limestone finishes throughout. Nestled on a level lot backing to open space. Features 4 bedrooms including 2 master suites, 3 baths & a beautiful great room opening to an expansive deck backing to openspace. Home meticulously maintained: new furnace & water heater (&apos;16), furniture & electronic upgrades. Sold Furnished.